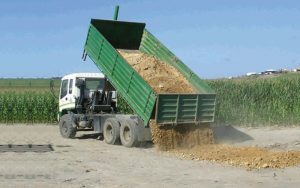 Developing your land and system is possibly one of the most satisfying and rewarding processes to do. John Austin Ltd is well equipped to help you with this process. 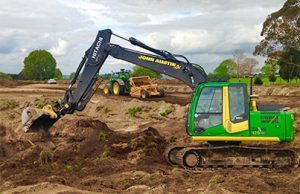 We have a wide range of earth moving equipment, including a digger, levelling equipment and tip trailers, we are able to do everything from clean out your drain to build and shape new races on your property. To learn more download our Earth Moving brochure.